I'm a believer in the local church and the community of support, fellowship and accountability it was created by Christ to offer. In my personal and family life the church has been a rock during times of crisis and pain. Often, when I minister to those outside of the church in times of great stress I wonder how they will survive without a community of brothers and sisters in Christ. But, the church cannot be what it should be in times of need if that need is kept secret or if the ones needing help, because of pride or shame pull away from the body. Over my more than three decades of pastoring I have seen this happen. An individual, couple or family feels overwhelmed by a crisis, and rather than run to the church for support and love, they drop out. That grieves me, especially when the church is ready and willing to show and give the support needed and without judgment. A friend posted this today on Facebook, and I wanted to share it with others. It is so true. "When you are suffering, you may sometimes tend to withdraw, pull back, and pull away," says Anne Graham Lotz. "I do think there is a time for that, and each day you should spend time alone with the Lord. But don't forsake other people, because other people can give you comfort and encouragement and help you keep your focus. Sometimes you can get so preoccupied with the problem that it consumes you. Other people can help give you a balance." God wants you to be truthful with yourself and with other people. He wants to free you from the debilitating effects of withdrawing and hiding your emotions. Jesus says in the book of John that "the truth will set you free." Jesus also said, "You don't have because you don't ask". Paul wrote to the Galatian churches that we should "bear one another's burdens". If there is no asking; if there instead is denial or hiding or withdrawal and the church doesn't know, it can't do the thing it was created to do. We should never be ashamed to seek out what the church can provide, which is the grace of God. Run to Christ's family, not away from them. Let them be the hands and feet of the Lord in your time of need. I’m writing this on Friday, so I really have no idea how badly Hurricane Sandy might treat us here on the Outer Banks and East Coast. Hopefully it will be minor, although the talking meteorology heads have dubbed it "Frankenstorm" or something. Storms can surprise us, can’t they? It’s rare for a hurricane to threaten us this late in the season, although we have had some major fall storms here. Who here can forget Halloween Storm when the barge hit the Oregon Inlet Bridge, or the Thanksgiving storm a year or two ago? Life is like the weather. We love the sunny, clear days. And we dread the times when the dark, stormy clouds gather and we know a rough time is ahead. But God must have good reason for allowing us to go through the storms. Jesus said they would happen. He told us to be sure we build our lives on the solid rock so we could withstand them. And in as vivid an illustration as I can imagine He woke from a nap as His disciples worried that a storm would sink their boat and simply told the storm to cease. Right now in my life I feel like I’m in that boat. And I know that in His time the storm will give way to perfect peace again. It’s just that the rocky ride can be overwhelming, especially if we focus on the waves and the wind. So I encourage you to learn with me how to focus on the solid Rock and the peace that passes all understanding. Learn to praise Him in the storm. Yesterday was not a good day for our house. I got a frantic call from Gail that water was coming out of our hot water heater and the "whole house is flooded". Fifteen minutes later I was wading through it myself. Gail had a broom, sweeping water out the back door. Not quite the whole house, but 3 bedrooms, utility room, kitchen, office and living room. All covered with water. I ran to the local Ace Hardware and grabbed a 10 gallon Shop Vac and started immediately getting the water out. I called a local company that deals with these kinds of things and they arrived, setting up fans and dehumidifiers. I went down to our homeowners insurance office and opened a claim. Our daughter and son-in-law came from work to help get things out of the house. Everything that had been on the floors was wet. The adjuster comes over at noon today to assess the damage. Then the real work will likely begin and we will probably have to be out of our house for a while. Can I say that this wasn't the best possible time for something like this to happen? As we looked at many of our belongings, including old photos and such drying out on our deck, I could see that the emotion of it all was weighing heavily on Gail. So I reminded her of the need to put this all into perspective. "This is how I see it. Yesterday I took the wedding ring off of the finger of a 50 year old husband and father who died unexpectedly and gave it to his son who handed it to his mom. Today our daughter-in-law is in the hospital struggling with lungs that no longer want to work and facing a second lung transplant. What's happened here is nothing in comparison. This is stuff that can be fixed or replaced. This is just an inconvenience. And God knows all about it." Perspective matters in how we deal with the curve balls life throws our way. Keep your perspective. Most likely "this too, shall pass". Just Where Does God Fit In? That the Democratic Party's original platform excluded the mention of God, while a departure from their past, should not be a surprise to anyone who has been watching their rapid movement away from traditional American values over the past few years. And, in this free society it is certainly within their rights to do so if they so choose. What is telling and appalling, however, is how, once they felt pressure to mention God, they amended their platform with what appeared to everyone to be less than the required 2/3 majority support. That the chair proclaimed the amendment passed seemed a railroad job. The people's voice seemed to be irrelevant to the process. But most concerning was how many opposed the amendment to include to mention God. Is this a party that reflects the values of most Americans? Is this a party platform God-fearing people can support? I hope not. But perhaps I am wrong. Much more is at stake here than jobs and deficits. Which right is it? The line in the sand is drawn. If we insist that abortion in this country is about a woman's rights over her own body and to choose, then we must first insist that the unborn have no moral or civil rights in this country. The rights of the unborn must first be negated, or at the least seen as secondary. All the "what if" scenarios must take a lesser place to this supreme right. To insist the unborn have no rights requires a belief that life does not begin until birth. Therefore, for 9 months the unborn is not a valid human but an appendage of the woman, who is not yet a "mother" because the child has not gained person-hood, just as I am not the "father" of a skin tag that pops up on my neck. It only follows then, that if a woman who is pregnant refers to or thinks of the fetus she carries as her "baby" ("I felt my 'baby' move/kick"; "I hope my baby is a boy/girl") she believes that within her womb is a human life preparing for entrance into the world, not simply an appendage. Therefore, for such a woman to consider the pre-born in her own womb a "baby" but to not desire to protect the lives of other "babies" (whom she considers valid human beings) by taking a pro-abortion rights stance is illogical. And for someone who takes the position that an unborn child is a "baby" to refuse to stand up to defend that person's moral and civil right to life is unconscionable. Life is the basic human right. Everything else is built upon that, making it vastly more important than jobs, the economy or foreign affairs. If we turn a blind eye to the foundation of life, everything else will eventually crumble. The choices before us as Americans are very clearly drawn as we approach this election. There can be no neutral ground on this issue. As Christ-followers we hold to a view that life is sacred and that it begins at conception. Those views are grounded in our belief that the Bible is the Word of God. Each of us will be held accountable for our actions and our words, and that must include (as Americans) what we support at the ballot box. If life is sacred and holy to God, it must be to us as well. Please be sure your vote has been formulated by a biblical worldview. One thing I'm realizing is that as I attempt to discuss relevant cultural issues with those of diverse opinions is that the words I use may be the same words they use yet the meanings have changed. I'm a baby boomer, so for me words meanings go back to at least what they were in a generation past. Not long past, but past. But as we saw and heard in President Clinton's term, "is" may not mean "is" anymore to some. ..."Tolerance" means agreement. If you disagree with me you must be intolerant. Back in the day "tolerance" meant I may not agree with you. I may think you are dead wrong. But I'll respect your right to disagree. ..."Disagreement" means "hate". If you disagree with me you hate me. I grew up believing that it was possible for friends and families to love one another yet be on opposite ends of the spectrum. Today's mantra is "Don't hate", which simply means, don't disagree and please don't verbalize that disagreement. I still believe it is possible to disagree on major issues politically and morally and not want to kill the person you disagree with. In fact, I think you can and should love even those you with whom you disagree. ..."Love" means acceptance. If you love me you'll let me. If you love me then you'll let me do my thing, whatever it might be, and respect my right to do it, even if you think it's wrong. Yet my parents often stopped me from making major mistakes while growing up because of their love for me. Love in my day didn't mean you didn't confront someone. We believed in something called "tough love" if it was necessary. Love didn't mean "I'm OK and you're OK". ..."Judge" means disagree. If you disagree with me you're judging me, and everyone knows Jesus even said not to do that. If you're judging me it means you think you or your opinion is better than my own. There was a time in this country when to "judge" meant to use common moral sense about right and wrong. And so, we made judgments - moral evaluations based on a greater, higher authority than our own. Some call them "absolutes". We believed them so deeply we were willing to stand up and protest. But absolutes have gone the way of Blockbuster Video. Seen one of those lately? For example, there was a time when murder was always wrong (an absolute) because life was sacred (another absolute). But then we began to redefine and water down those absolutes so that even the criminal became acceptable. Abortion and assisted suicide somehow became acts of love. Selfish love, perhaps, but we determined culturally that they were no longer wrong. To speak out against them was judgmental, intolerant and hateful. So, it becomes increasingly difficult to debate a point when the other person in the debate is essentially speaking a different, redefined language. Hence the feeling of frustration. Up is down when I think it is still up. I guess we'll have to learn to be bi-lingual if we're ever going to make sense. And would someone please notify Webster of the changes? This whole thing with Dan Cathey, Chic-fil-a and his statement that he believes in the biblical traditional model of marriage has convinced me that we, indeed are in a cultural war in this country. Two sides are distinctly drawn, it seems. What has me most concerned is not so much that there are so many who now believe in a different definition of marriage, and that anyone who disagrees with them is somehow a bigot or hater, but that so many who profess allegiance to Christian values see more conservative believers as bigoted. I confess. Over the years I have "softened" my understanding of many things I once felt strongly about, mostly because I recognize more and more my own limited knowledge. At the same time I hold to a very high view of Scripture, treating it as the very Word of God. I also have a high respect for the two centuries of orthodox faith, meaning that it would be virtually impossible to conceive that the body of faithful Christianity, including it's greatest thinkers, apologists and theologians have "gotten it wrong" all this time. Really? Would the Holy Spirit allow that to happen without constant generational correction? God is patient, as He demonstrated with Israel in the Old Testament. But God also had limits to His patience, finding ways to bring them back to Him when they strayed. Certainly He cares no less for the Church in this era of grace. There are those who point out that Christians indeed, "got it wrong" in this country in the past, using slavery as an example. And they are right. But, they did so in defiance of Scripture and by contorting it to agree with their wrong conclusions. But marriage has been the same since Adam gave Eve her first kiss as his bride, with God officiating the ceremony. (Yes, I'm using allegory.) "Male and female" was the Divine design, and that was before the Mosaic writings condemning homosexuality among the Jews BC and the Pauline words AD to the Roman and Corinthian churches that homosexual behavior had no place in the life of a Christian. So, what has me perplexed is the seeming growing number of professing Christians - most I will admit are millennials - who see no problem with what has been regarded for two thousand years as not just wrong but really wrong. Has the church, in an effort to win a generation by failing to teach every part of the Bible, even the hard parts (and there are many) or by dodging the counter-cultural in Scripture, turned a generation who says they love Jesus into one that thinks He's great, but His Word is irrelevant? I've been pastor of the same church for 21 and a half years, so I've seen an entire generation come and go. Longer than that, I've been either a pastor or a theological student (hopefully I'm still both) for the better part of four decades. Longer than that (!) I've been a reborn Christian for close to half a century. And all that time I've been an observer both of culture and of the church. Often I'm a critic of both. My observations are driving me to believe that if the church does not see we are in a war for the souls of our children and grandchildren and realize we must now stand in the gap and "fight back" by grounding the church in "sound doctrine", those generations will have no grasp of the differences, whether subtle or stark in the worldviews that are captivating them. It will take more than creative tweeting or posting. It will take a prophetic voice. And we all know what happened to the prophets. When I was working in construction 25 years ago I wasn’t happy about it. God had called me to preach and lead in the church, but for a season He had me banging (and bending) nails. I confess I didn’t do so with the most submissive of attitudes toward the Lord, often asking “Why?” and whining. But if we understand that our lives are under the lordship of a sovereign God who uses every experience as a tool to mold and shape us, then we can handle the disappointments life brings with grace. Before those 4 years I call my “wilderness journey” I knew nothing about construction and had no skills with hammer or saw. It now makes perfect sense to me why God took me down that path for a while. In 1991 and 1999 I was able to use those skills to remodel and add on to my own house. A few years ago I got to go to Canada and help build cabins for a Christian conference outreach to native Americans with our missionaries Don and Mary DeHart. I’ve even applied some of that knowledge and skill to projects around NHC over the years. Once again God is letting me dust off my tool belt to do some mission work. Now banging nails is a joy as I see the seeds planted and watered in the hearts of those needing Christ. We’re talking about seasons and times of life today. God uses them all for our good and the good of the good of others, even if we don’t at first see it. I just watched online as the Southern Baptist Convention - the denomination with which my church affiliates - voted by a cheering acclamation a black man to be our denominational president for the first time. 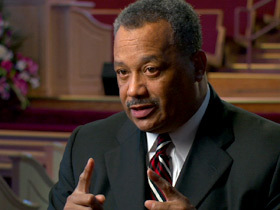 Frankly, I was moved to tears, seeing the unanimity and joy of those assembled, and then watching a clearly humbled Fred Luter come to the podium and simply say, "To God be the glory for the things He has done." Southern Baptists didn't have a good or righteous start when in 1845 they separated themselves from the Baptists to the North over the issue of slavery. Clearly their reasons for establishing a new Baptist group was not based on anything espoused in Scripture, but was solely motivated by cultural economics and secular politics. That is unfortunate, since Christians are first and foremost citizens of the Kingdom of God before they owe allegiance to any state or flag of man's making. As those generations died off, and the American Civil Rights movement (led most prominently by a black Baptist pastor from Atlanta) began to right racial wrongs held over from the previous era of blindness, Baptists in the South slowly began to change from the past sins of their fathers. In the late '90's at a Southern Baptist Convention (at which I was in attendance), the group put forth a resolution expressing repentance from the sin of racial prejudice. Today, that change took a very large step toward turning words into action. As I looked via the camera at the crowd on their feet and applauding with "Hallelujahs" and "Amens" I was looking at a very white crowd. But, that's mostly who makes up Southern Baptist Churches. This will not mean now that every Baptist church will suddenly become racially diverse. Churches tend to reflect the communities in which they are located, and not all communities (ours for example) is very integrated. Yet our church is racially diverse at a higher percentage than our town. My guess (and hope) is that is because we value everyone regardless of their color and refuse to allow race to be any kind of issue here. I also know that churches tend to be comprised of people who are "alike". First-time guests to a church are more prone to return when they look about and see others who look like them, whether it be age, race, tattoos or whatever other cultural identification. So, there will always be Southern Baptist churches that will be predominantly white, black, Asian, Hispanic, etc. Always...not because others are not welcome, but because people want to worship where they are comfortable. Like it or not, that's a fact of life. At the same time I'm not ignorant of the fact that within our own Baptist association of 65 churches in our region there are some - maybe many - all white churches that either through practice or unwritten rule would not accept believers of other colors into their congregations. Perhaps today's election will spark a change. Such churches should now consider whether they want to remain within the SBC fold. Sure, the president of our denomination has no power or authority over any church. We all know that. Baptists are autonomous. But why belong to a denomination whose president would not be welcome as a member in your church? How great a hypocrisy! My hope is that those churches within our denomination who are today shaking their heads and will continue tosecretly or quietly ostracize other races from their membership would do the honest thing and pull out of the Convention so that the remainder of us can be unhindered by their testimony and move forward to reach all people to discover life in Christ. We used to sing it when I was a child. "Red and yellow, black and white, they are precious in His sight". It is good to see it begin to be lived out in word and in deed. Amazing as it sounds, this past April 2 marked the 4th anniversary of the night Tricia was wheeled into an all night surgery that would give her a life-saving “new” pair of lungs. If you’ve followed either Nathan’s or Tricia’s blogs or their Facebook posts, you know how that while Tricia’s much healthier than pre-transplant, her overall health has been and will always be a roller coaster ride. But, who would have thought that she would again be able to play softball, sing in the choir and most of all mother her Gwyneth Rose? Another milestone just passed as well. Tricia turned 30 on May 13. So, the Lawrensons, Kirschners and all who love her have much for which to be thankful. 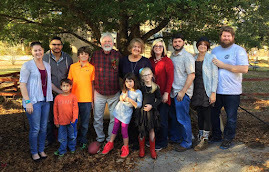 When crises settle down, as Tricia’s did after the surgery and the subsequent battle with lymphoma, we tend to relax and even forget that she will always be a post-transplant and cystic fibrosis patient at Duke Medical Center. When we began the 65 Roses Trust Fund nearly four years ago it was during that time of crisis. The response from so many made it possible for Nathan and Tricia to stay in Durham during her pregnancy leading up to Gwyneth’s miraculous birth and then on through the transplant, recovery and cancer treatments. Once again we’re appealing to Tricia’s friends to re-invigorate the trust fund. In March, as you may know, Tricia was diagnosed with acute and chronic rejection after a long bout with RSV and pneumonia. This new struggle is just as threatening to a transplant survivor as cancer, and very costly. Though they have a very good insurance policy, Tricia will always require costly medications to battle rejection and her Cystic Fibrosis. While the disease will not attack her new lungs, it continues to attack her pancreas and digestive system. She also must frequently return to Duke for checkups and tests to ensure all is still well. And all this means travel, gas, meals and other expenses above and beyond what their insurance will cover. Already this year they have driven the 200 miles to Duke multiple times, and the trips will surely continue. For example, tests results from a trip on May 14 require a return trip on May 21 for anti-rejection medication. Just the cost of gas for these trips this year has already cost them hundreds of dollars. We will be looking into alternative payment options such as PayPal as well. Many of you who follow this blog do so because you first followed my son Nathan's blog and story of Tricia's battle with Cystic Fibrosis, the birth of her daughter and Tricia's transplant. Tricia was admitted back into Duke Medical Center today for treatment for acute rejection. Essentially what that means is that her body is attacking her lungs, and their function is being terribly weakened. Your prayers for her are always welcome. The story is told about the great 19th century English preacher Charles Spurgeon. Mr. Spurgeon was the greatest-known preacher in the world in his generation. His church in London packed in as many as 12,000 each Sunday. His sermons were published and distributed world-wide and read by the hundreds of thousands. He was comparable to Billy Graham of the past generation. The only Brit possibly more famous in his day was Queen Victoria. Possibly. If you were to read Spurgeon's biography (as I have) or his sermons or devotionals you would know how greatly this man loved the Lord Jesus. His many years of life following his conversion as a teenager were devoted to proclaiming the Gospel and winning men and women to Christ. As much as any modern man, Spurgeon was consumed with knowing Christ and sharing Him with others. But, Spurgeon was not perfect. Like all of us, he had chinks in his armor. One of which was his passion for a fine cigar! One day as he was walking through a London neighborhood he passed by a tobacco shop. To his utter dismay the shop owner had posted (I use that word intentionally) a sign on the window advertising a certain brand of cigar with the tagline, "The cigar Spurgeon smokes". It was at that moment a tranformation took place in his heart and life, for he never again smoked a cigar. "I will not allow that I be known for my cigar preference. Rather Spurgeon's name should only be tied with that of Christ". (My paraphrase.) Is smoking a cigar sinful? Maybe not. But Spurgeon would not let his freedom in Christ to do so become a stumblingblock to someone needing salvation. Do we realize that our posts on Facebook reveal something of our character and of our relationship with the Lord? I find it disarming when believers display photos of themselves or make comments that lend to a public persona that may not portray the living Christ within. What you are doing in the picture or saying in a comment may not be "sinful". But can it be a stumblingblock, causing a non-believer to doubt your relationship with a holy God? Let's be discreet. People are watching and listening. Facebook can be a tremendous tool for advancing the Gospel. It can also be a tremendous tool for turning people away from the life-changing salvation Jesus offers if only by a comment or ill-advised photo. How those just baptized at Nags Head Church were introduced! I Once Was... from Nags Head Church on Vimeo. Trying to trick Him, the self-appointed arbiters of righteousness in His day broached the issue of the relationship between civil government and the sacred. In 1st Century Palestine, the government was that of a foreign power. While there was a fairly high degree at the time of freedom of religion, the Jews resented being part of a Gentile empire, which, as any government does, taxed them for whatever provisions Rome supplied. But no culture/state wants to be ruled by others. Every nation desires autonomy. In Judea was a rebel faction called zealots who sought the overthrow of Roman occupation by violent means. They hoped to convince Jesus, who was quickly gaining the following of the masses, to not only join them, but also be their “Messiah” and lead them to conquer Rome. He wasn’t so persuaded because overthrowing a political regime was not His mission. His enemies then sought to use politics as a way to trip Him up and present Him as urging the people to refuse to pay taxes. Now there’s a way to win the approval of the people! But it wasn’t to win the favor of the citizenry that they posed this question to Him. It was to run back to the Roman authorities and charge Jesus with being a revolutionary and have them end His life and with it, His growing movement. Not only did Jesus recognize the place of civil, human government to look over the affairs of mankind, He also gave support to the ability of government to impose taxation. Note that when the opportunity arose He did not condemn either Rome or taxes. We know from another story in the Gospels that Jesus was a taxpayer Himself. At the same time Jesus clearly drew a line. Founding Father Thomas Jefferson, in a letter, called it a “wall of separation”. The framers of our Constitution also recognized Jesus’ “line” in the Bill of Rights’ 1st Amendment. Some areas are clearly the domain of the government, especially protecting our freedoms and rights. But others belong to a higher power – the Creator. He is the author of morals, faith, ethics and what we call “personal conscience”. Jesus’ made it so simple. Give to Caesar (the civil authorities) those things that belong to “him”. Give to God those areas of life that belong to Him. It is when we mix the two or allow one to take over the other that we move away from Christ’s words of wisdom. The message seems simple. Let the government rule over that which God has given it. After all, government is God’s idea. But don’t allow the government to rule matters of faith and the morals and institutions over which He alone should have control. And giving back to God the things that are His can be far more difficult a choice than filling out a 1040 and mailing a check. I just can't figure out where to start. After spending some time this morning with my daughter and her children, I thought about where I was when my own were little. That led me to think about the decades of my life - how you really never know where or what you'll be ten years from now. When I was ten I was a 5th grade student at Clyde A. Erwin Elementary School in Jacksonville, NC. Baseball was my first love. It was while I was ten that my dad left us for thirteen months, going to a violent place in Southeast Asia. I rode a bike and got the newest fad of transportation that year...a skateboard. Mom and dad owned a modest little home in a rural development called Half Moon Heights. I turned twenty while serving an internship in Ft. Myers, FL. A few weeks later I started my junior year of college in Lynchburg, VA. After 3 years of not playing baseball I tried a comeback, but in just three years the skills had become too rusty. Huge disappointment. But in a couple months I would meet a girl while working for J. C. Penney who would partner with me for life. today. Huge break! My ride was a '65 VW bug that was a piece of junk. Still lived with the folks. At 30 I was serving in my third church, a youth and music pastor, since graduating college eight years earlier. My seminary degree's ink was still wet, and our family now included a four year old son and a seven month old daughter. We rented a house in the same neighborhood where my wife grew up. The next five years would prove to be the hardest of my life. By age 40 I had been pastor of Nags Head Baptist Church for four years. Our family now included a teenager and two young daughters. I was coaching baseball and softball with my kids and totally engrossed in my job. Three days after turning 40 I got my first pair of bifocals. We were driving our first brand new car, a mini-van that would last us for the next eleven years. The church provided us with a comfortable home in Kitty Hawk, a home we would later purchase. At the half-century mark we enjoyed the stability of being in the same position and even living in the same home for 15 years. Life is good! Our kids are finding their own ways in life. Our son is happily married. I've had some health concerns, but have fortunately resolved them with diet. Gail's dad passed away a few years ago and her mom and my parents are dealing with the issues that come with aging. The next years would bring the joys of weddings, grandchildren and the greatest trials of our faith. Now I'm past the midway mark of my 6th decade. The seasons have flown by! I'm watching my children go through the same stages of life through which I've been. Hopefully the faith and values they've learned through life will carry them through their decades to come. Looking back I can see how God works all things together for good to those who love Him. Solomon wrote that, "To everything there is a season, a time for every purpose under heaven", and went through those times and seasons of life. Most important is that we discover that purpose and see our lives as being given to us to glorify our Creator in every season.